Nonetheless, it was this extravagance, however, that left the Imperial Treasury virtually bankrupt. 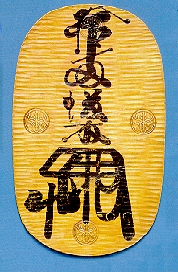 This is known as theNara Period and represents a cultural peak in Japan. Nevertheless, this extravagance also resulted in a shortage of coinage that caused the hoarding of coin and thus deflation since a million pounds of copper effectively reduced the money supply creating STAGFLATION. 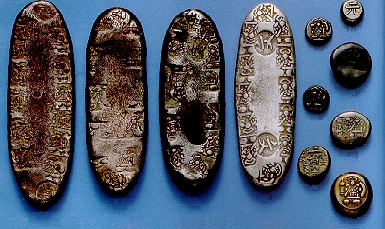 In 760AD, the Emperor Junnin (758-764AD) issued coins in gold, silver, and copper coinage known respectively as Kaiki Shoho, Taihei Genpo, andMannen Tsuho (4.3786 grams; 26.3mm). 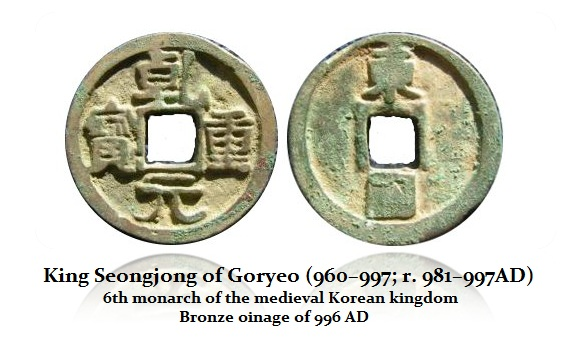 The goldKaiki Shoho was the first of its kind in Asia since not even China issued such coins beyond ceremonial. 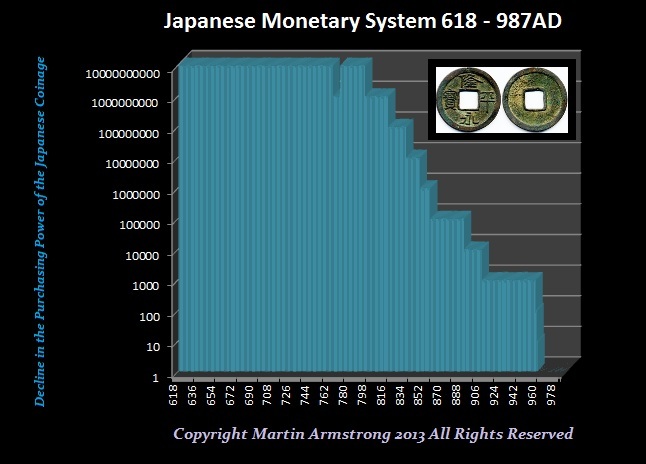 This contributed to the view that the Land of the Rising Sun is where the gold was. 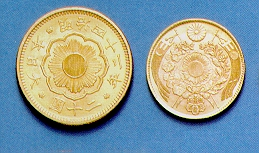 The silver coinage is also exceptionally rare and thus there is no evidence that the silver or gold were minted for general circulation but may have been limited for large transactions and international trade buy goods coming to Japan through Korea after traveling the Silk Road in a virtual two-tier monetary system. In 794AD, Emperor Kammu moved the capital again to Heian-kyō (literally Capital of Peace and Tranquility), about twenty-six kilometers north of Nara. By the late eleventh century, the city was popularly called Kyoto (capital city). “To” mean east and thus Tokyo became the city east of the capital “Kyo”. Every effort to cut expenses of the state were employed but without success. 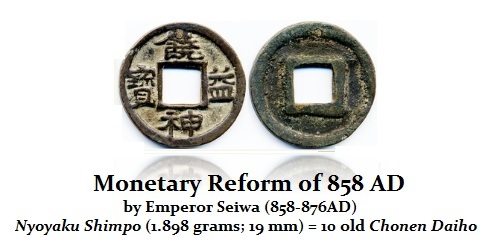 His father’s revaluation of all outstanding coinage of previous emperors had simply introduced drastic inflation as old coins now dominated the money supply. 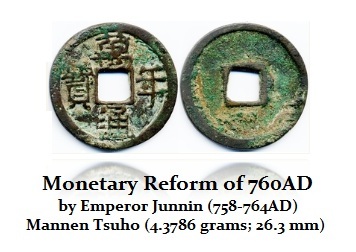 Emperor Kammu was compelled to initiate a monetary reform again in 796AD. 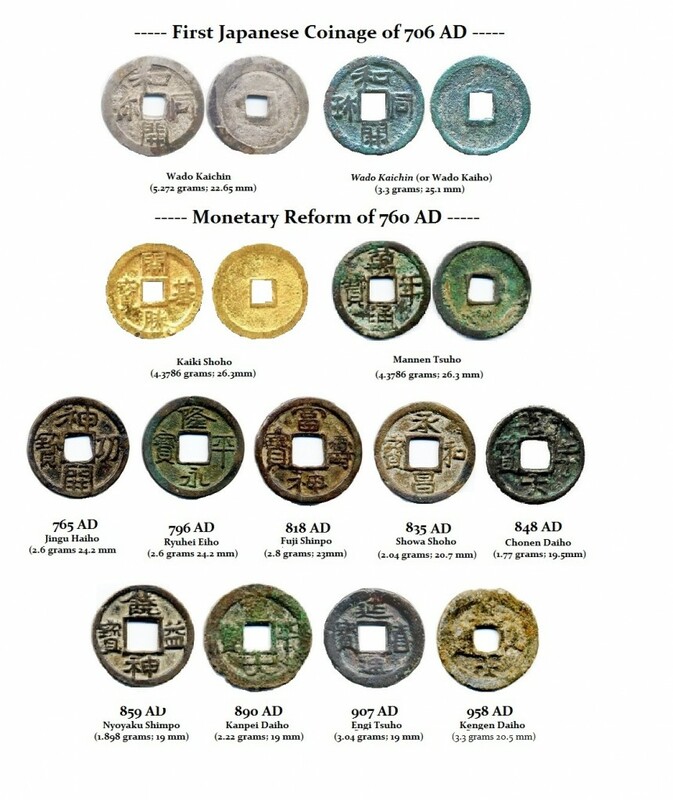 The old coins were ordered to be surrendered and were to be removed from circulation entirely within 4 years. 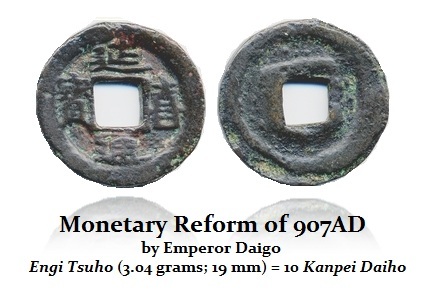 He issued a new copper coinage, the Ryuhei Eiho(2.623 grams; 24.2 mm), that was again valued at 10 times that of the old coinage in circulation and was issued for nearly the next 23 years. 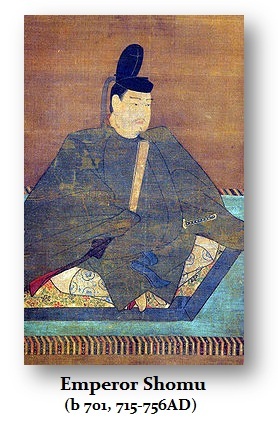 However, in the reign of Emperor Ninmyo (b 808; 833-850AD), was the 54th emperor of Japan. The economic decline in Japan was clearly underway. The costs simply kept increasing as tax revenues declined. 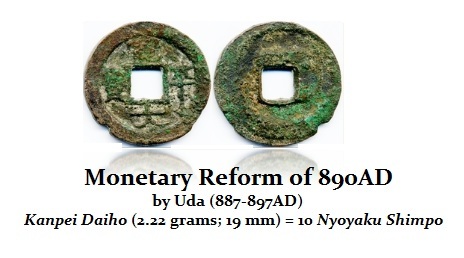 In the year 835AD, the monetary system was again revised introducing the Showa Shoho (2.04 grams; 20.7 mm) that was to be valued at 10 of the old copper coins. 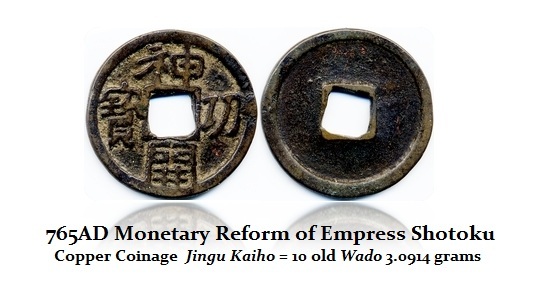 Where the Fuji Shinpo was issued for nearly 23 years again, thisShowa Shoho issue lasted for just 3 years illustrating the economic decline was picking up speed. 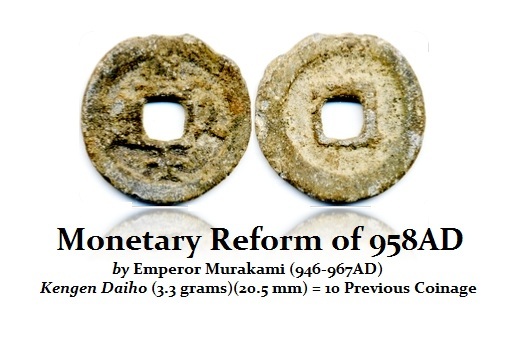 In 848AD, Emperor Ninmyo revised the monetary system again issuing theChonen Daiho (1.77 grams; 19.5mm) that was valued at 10 times that of the Showa Shoho. 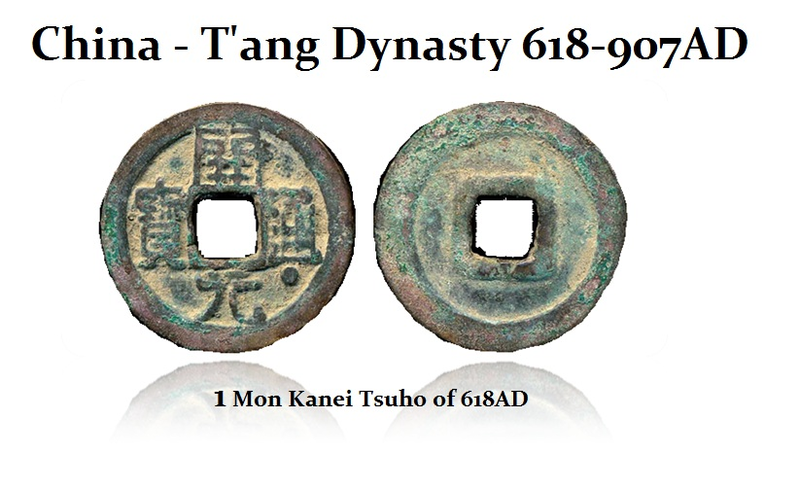 These economic conditions also led to the attempt to reestablish diplomatic ties with China as a mission to Tang were headed by Fujiwara no Tsunetsugu.